South Dakota, North Dakota, Wyoming and Montana epitomise Real America with thousands of miles of unspoiled wilderness, prairies that stretch as far as the eye can see, majestic mountains, sparkling lakes, cascading falls along with real-life cowboys, ranches and rodeos. Here, in a place that’s spoiled with striking natural beauty, you’re more likely to encounter more wildlife than vehicle traffic or crowds. Of course, the vast nature of this region also brings up the question, how to best experience it? With sites and attractions miles apart, that can be a challenge, but the ultimate guide to getting around Real America will help you make the most out of your holiday. The closest international airports to the Real America states are Denver International Airport in Colorado and Salt Lake City International Airport in Utah. There are direct flights to both from either London Heathrow or London Gatwick. 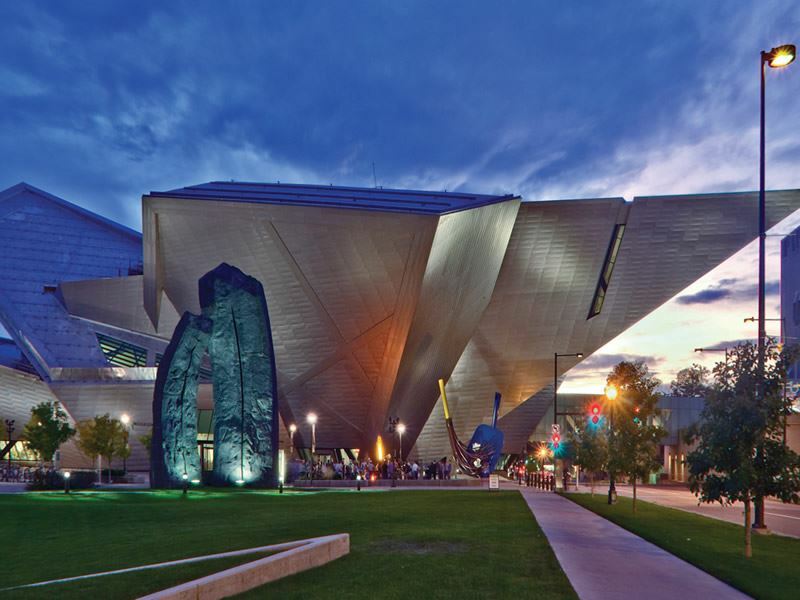 From Denver, it’s a fairly short trip to Wyoming, with its capital city of Cheyenne just north of the Colorado border, about a 90-minute drive. You can also fly to one of the regional airports from DIA, like Rapid City Regional Airport located in the Black Hills of South Dakota, about 9 miles from Rapid City. 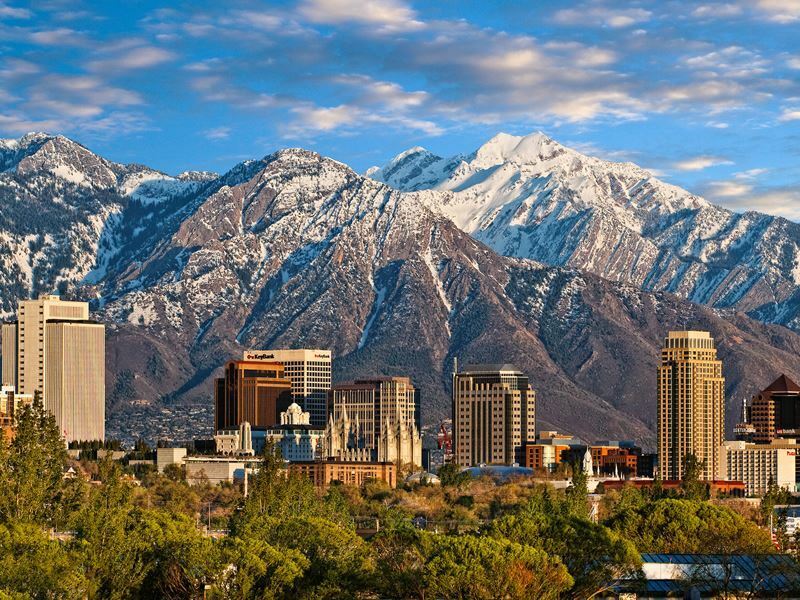 From Salt Lake City, Wyoming is northeast, with the city of Evanston and 80-minute drive away. From here, you might fly to Cheyenne Regional Airport, Yellowstone Regional Airport or North Dakota’s Bismarck Airport, depending on where you’d like to begin your exploration of Real America. Each state has multiple regional airports and connections across the country. No matter which airport you choose to fly into, you’ll find car hire locations at all the international and regional airports throughout. If you want to head out in a motorhome, you’ll find plenty of pickup locations to choose from as well. Keep in mind that as this region is so vast, there are sometimes very long distance between service stations, so never let your fuel level drop too low. Aim to top up your tank whenever possible. The good news is that while you may cover 300 miles or even more in a day, there is minimal traffic in this region and wide-open roads, often with high speed limits. Most of the time, the longest hold up you’ll ever have is a ‘bison jam,’ which occurs when these massive animals decide to take to the roadways, often in some of the national and state parks. While you can experience Real America anyway you’d like, we’ve laid it out for you in a counter-clockwise direction, travelling from South Dakota to North Dakota, Montana to Wyoming. 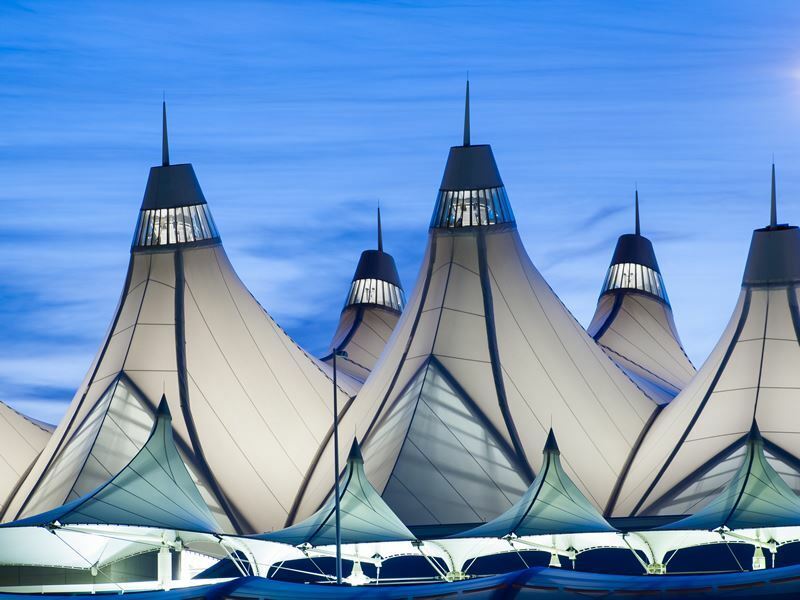 Denver International Airport is located 25 miles northeast of downtown Denver. While most travellers hire a car at the airport for getting around, there are multiple other options as well. If you want to explore the city without getting behind the wheel yourself, you’ll find that it’s a very walkable, with many attractions within walking distance. The best way to get around Salt Lake City is by public transportation and with a car. The Utah Transit Authority offers a number of affordable transit options, but if you want to explore areas outside of town, you’ll need to hire a car which can be rented at the Salt Lake City International Airport (SLC), situated about six miles west of downtown. Once you arrive to one of the Real America states, you’ll want to hire a car as the region is so vast it can’t truly be experienced from the back of a bus or rolling across the rails by train. To get there you can either drive or fly into one of the regional airports. 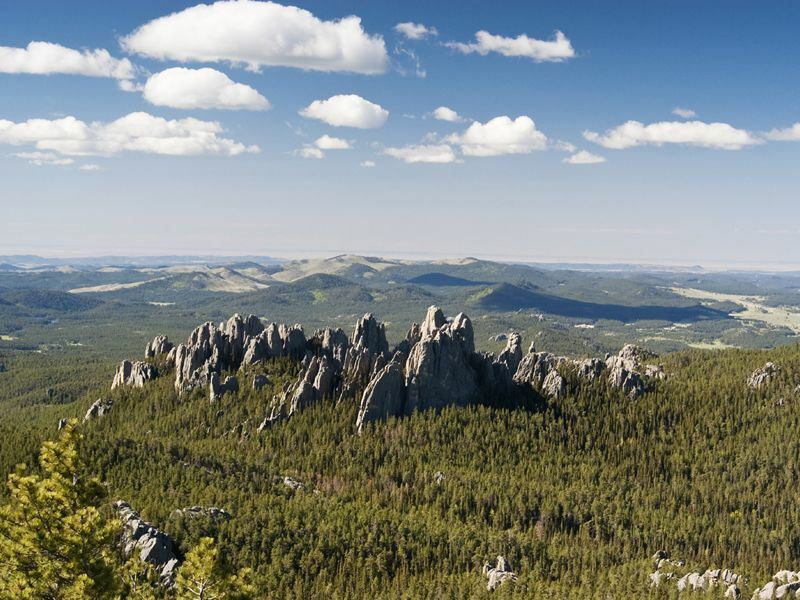 The Black Hills of South Dakota are home to a long list of attractions that makes it easy to experience many of them in a relatively short period of time. 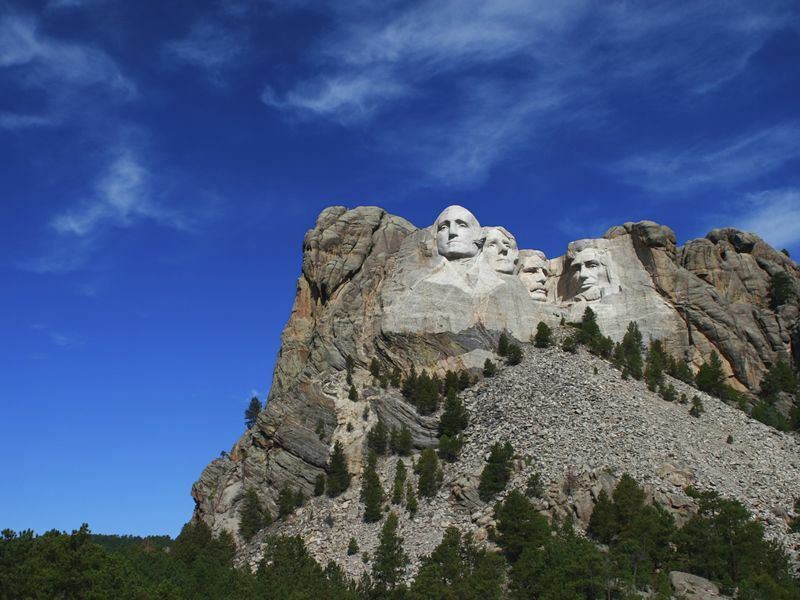 Three of the must-visits are Mount Rushmore National Monument, Crazy Horse Memorial and Custer State Park. Begin in a counter-clockwise direction, starting at Crazy Horse, the world’s largest ongoing mountain carving, in the process of construction to pay tribute to the American Indian, and the spirit of their Lakota leader, Crazy Horse. Next, travel south to Custer State Park on the Needles Highway, renowned for its unique rock formations. Take the scenic Wildlife Loop Road which traverses through pine-dotted hills and open grasslands, as well as abundant wildlife, as the name belies. You’ll likely see bison, typically in big numbers, as well as elk, pronghorn antelope, coyotes, deer, bald eagles, prairie dogs and wild burros, introduced years ago when area residents used them for treks to Harney Peak Summit. Continue north to Iron Mountain Road which includes three one-lane tunnels that were carved into the granite rocks in order to showcase the iconic American symbol: Mount Rushmore. While the views from here are impressive, it’s worth a close encounter too. The monument features the 60-foot faces of four American presidents: George Washington, Thomas Jefferson, Theodore Roosevelt and Abraham Lincoln. In the park that surrounds it, there is a museum with interactive exhibits to explore, and two theatres that show the short film “The Shrine,” which provides an excellent introduction to the memorial. From here, you can head north to North Dakota, but first you might want to make a short detour to one of the most famous Old West towns, Deadwood, to watch an old-fashioned shoot-out on Main Street, tour the Queen Anne-style Adams House and museum, and even pan for gold at the Lost Boot Mine. From Deadwood, Theodore Roosevelt National Park in South Dakota is about a 220-mile drive. As you travel through this remote region of North Dakota, along the seemingly endless two-lane highways, it’s flatland as far as the eye can see, at least until you near the park. Then you’ll discover a rare wilderness area, with the landscape dotted with badlands, grassland, dense vegetation and all sorts of wildlife, including black-tailed prairie dogs, pronghorn, bison, deer, badgers and elk. The biggest attraction is the wild horses you’ll see running through the open landscape. The park is made up of three units, bound by the Little Missouri River. It includes Elkhorn Ranch where the former president once lived, the south unit where you’ll find the most wildlife, and the rugged, quiet north unit. Drives between the three typically take a few hours each, so if you can, plan to devote a day or two to the north and south areas, and a half-day in Elkhorn. 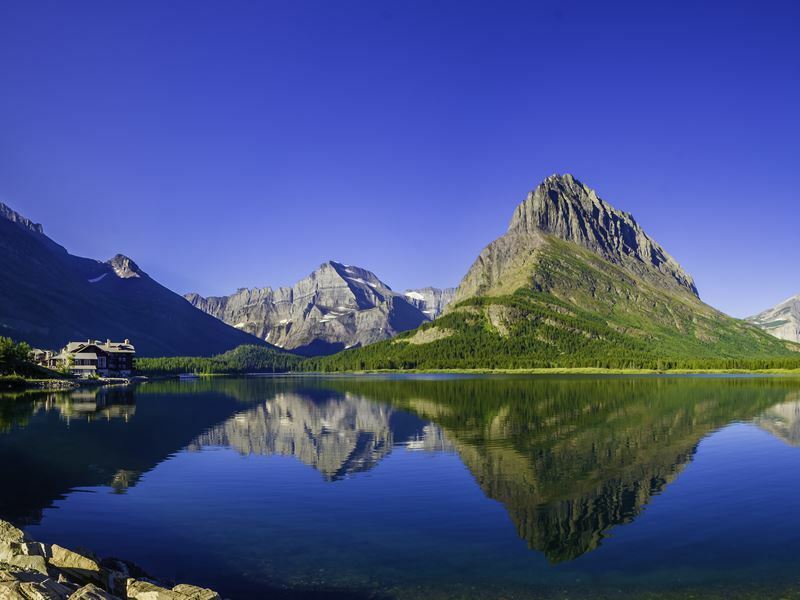 From North Dakota, travel west to Big Sky Country and onto Glacier National Park. As this is a long, 550-mile journey, you may want to stop in Fort Benton first. The entire town is a National Historic Landmark as the birthplace of Montana. Its history is on display throughout, including the Heritage Complex, which is home to the old fort and a number of other museums. In Glacier National Park, you’ll have the chance to travel one of America’s, and the world’s, most scenic drives: Going to the Sun Road. This 50-mile highway crosses the Continental Divide at Logan Pass, which sits at an elevation of nearly 6,700 feet above sea level. 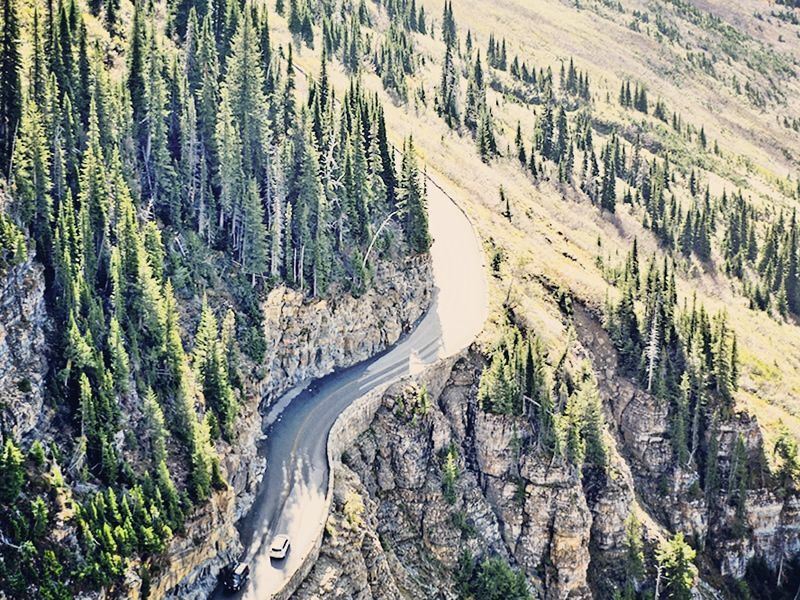 Take your time, and plan to drive it in both directions to soak up the breathtaking scenery from all angles. There are many pullouts and viewpoints along the way for viewing the diverse terrain that includes towering mountains, dense forest, cascading falls and stunning glacial lakes. Wildlife sightings are frequent and include bighorn sheep and mountain goats that often lounge in the sunshine right alongside the road. Venturing south again, you won’t want to miss the chance to drive Beartooth Highway either. A National Scenic Byways All-American Road, the 68-mile stretch of Highway 212 travels through both southwest Montana and northwest Wyoming before entering Yellowstone National Park. One of the most dazzling drives in the nation, it crests at nearly 11,000 feet, at the Top of the World viewpoint, offering a panorama of jaw-dropping vistas that span for miles. 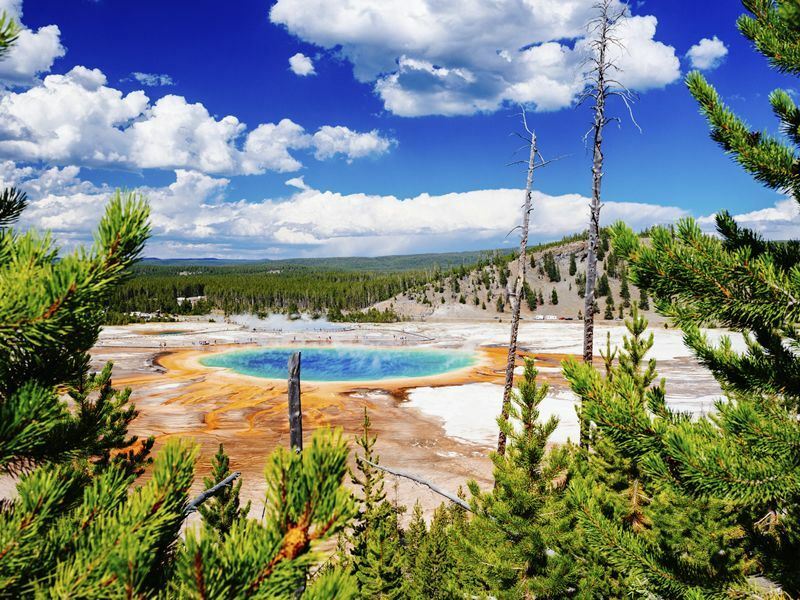 You’ll need at least three days to explore Yellowstone National Park, following the figure-of-eight road, venturing out on your own to experience iconic sights like Old Faithful which erupts about every 70 minutes, skyrocketing water as high as 135 feet. Grand Prismatic Spring is a natural wonder that’s not-to-be-missed, with its striking rainbow array of colours that give it an otherworldly look. Stand at the edge of Yellowstone’s own Grand Canyon with its terra-cotta hued cliffs framing the powerful Yellowstone River, and enjoy the tranquil views of Yellowstone Lake, with its shoreline home to more unique geologic features like hot springs and small craters. 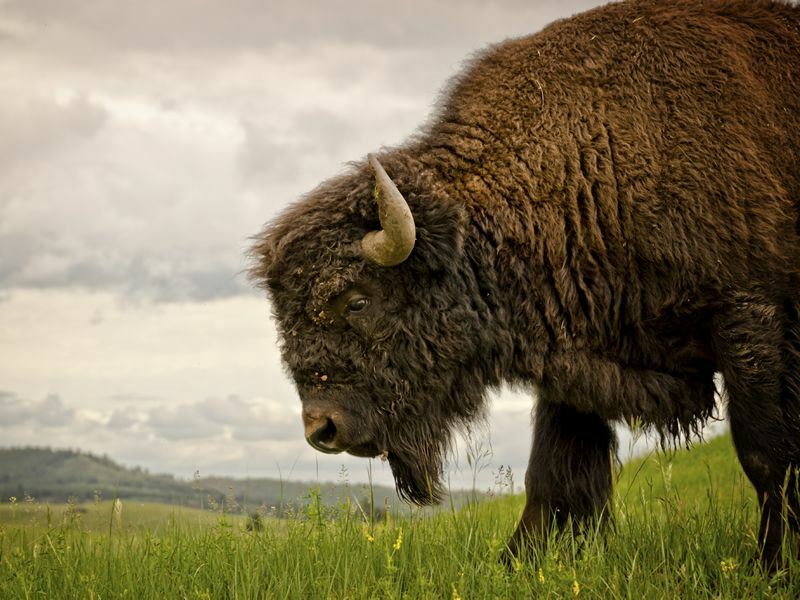 As you drive, you’ll likely encounter wildlife traffic, with bison often standing right in the middle of the road. Watch for the gray wolves, elk, grizzly bears, pronghorn antelope, deer and other animals that live here too. While you can do and see lots on your own, be sure to take at least one guided tour for a more in-depth experience, or the chance for more wildlife encounters, from bear to wolf viewing. Keep in mind that accommodation inside the park are in high demand, so it is best to book nine to 12 months in advance to avoid disappointment. From Yellowstone, head east to the frontier town of Cody, home to the famous Buffalo Bill Historical Center and its five themed museums known as the Smithsonian of the West. Travelling over the spectacular Big Horn Mountains, you’ll end up in Buffalo, with a downtown district lined with historic buildings like the Occidental Hotel which opened its doors nearly 140 years ago. Its former guests have included the likes of Buffalo Bill and Calamity Jane, Teddy Roosevelt, and Butch Cassidy and the Sundance Kid.